Interview: Win Tickets to Alesana’s Tour! Sweetcore pioneers Alesana have been very busy lately. Not only are they about to embark on a US tour, they recently celebrated the one-year anniversary of their debut graphic novel, Annabel, which was based on a trilogy of their albums. Now they are looking ahead to releasing the book’s second edition and writing a new album…but for the full story, you’ll have to read the interview below! Thrillcall is giving away a pair of tickets to each date of Alesana‘s tour! See the full list of dates below. Download the Thrillcall app in order to enter. Win tickets to Alesana’s tour! Thrillcall: In past interviews, you have talked about maintaining PMA (positive mental attitude). Since touring for so long at this point, what keeps your positivity flowing? Alesana (Shawn Milke): PMA is all about finding the positive in a situation and not dwelling on the negative. Touring is hard, there is no questioning that. We miss our families, our beds, the ability to eat a decent home cooked meal. But we do not dwell on those things. We instead focus on each other, our music, our fans, and whatever journey on which we are embarking. When one guy is down, the others lift him up. We are family and we are there for one another. PMA is a culture and a community, not just a thought process. TC: You guys are a well-read group, especially with naming your current tour, Hero With a Thousand Faces, after the Joseph Campbell book of the same title. 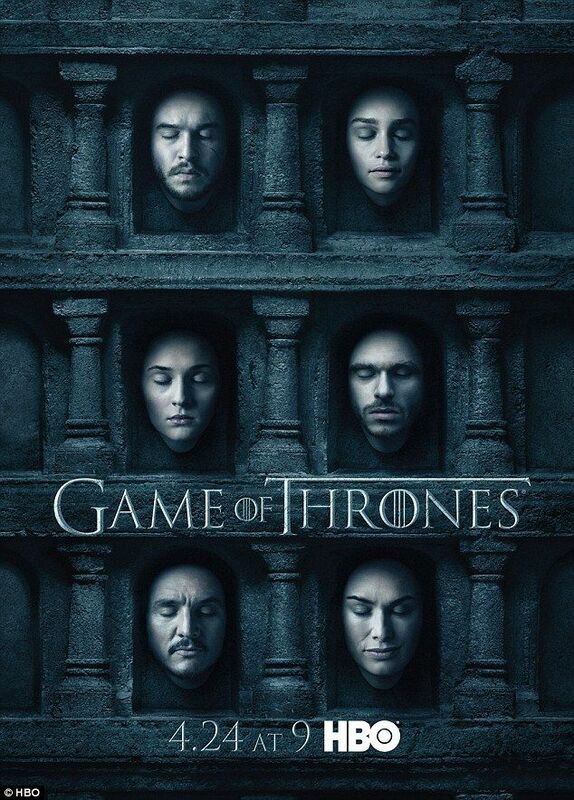 The poster for it looks quite similar to last year’s Game of Thrones ad, featuring characters in the Hall of Faces. Are you also fans of A Song of Ice and Fire? SM: Huge fans. Admittedly, I’ve only read the first two books in the series but I have watched the entire series twice. I am so pumped for season 7 and if they do this final stretch of episodes well, it may go down as one of the greatest shows of all time. A fun fact, we did a tour a couple years ago called the Chaos Is A Ladder tour. We have definitely been fans of the series for a long time. TC: When you sat down to write The Emptiness, you made a point to create your own stories rather than base your songs off of other works. Was this a random idea that stuck, or was it more of a personal challenge? SM: Once we made the conscious decision to use literary works to inspire our music and lyrics as opposed to personal experience, the possibility of writing our own stories was immediately floated around. In fact, “The Last Three Letters” which appeared on our first full length, On Frail Wings of Vanity and Wax, was our first song to be entirely a work of our own fiction, and also helped to inspire The Annabel Trilogy. Our second record, Where Myth Fades To Legend, pushed us closer to telling our own stories as we intentionally bastardized famous fairy tales. When it came time for the third record we felt ready to completely dive into our own story. The process was very organic, nothing ever felt forced or contrived. TC: It is nearly the one-year anniversary of the release of your beautiful graphic novel, Annabel, which draws from the story intertwined in your trilogy of albums The Emptiness, A Place Where the Sun Is Silent, and Confessions. Such a momentous occasion for you all! How does it feel? SM: Man, oh man I found a renewed awe and respect for what authors do on a daily basis. Compiling and writing a novel was the most difficult creative challenge of my life. The time spent, the attention to detail, the creation of an entire fictitious world, it was daunting and exhausting; but also incredibly rewarding. My wife would tease me because my office at home looked like the bunker of a serial killer. I had notes hanging everywhere, timelines built out in spiderwebs, character connections drawn across the walls. I think I temporarily lost my mind working on that book. I’m very proud of the accomplishment and am elated that so many people have found pleasure and joy in reading Annabel. I am humbled and grateful. TC: What’s in store for the near to distant future for Alesana? SM: We have some really cool things in the works for the fall, a sort of tribute to our 13 years as Alesana. I’ve also begun conversations with our drummer Jeremy about a new record, which will be a very ambitious, dynamic, and different record from anything we’ve done to this point. I think we are going to surprise a lot of people with the artistic direction and scope of the new material. I am very excited. Thrillcall will be doing giveaways for the concerts shown below. To enter, download the app, set your city & follow on-screen prompts!